When we’re in the process of trying to get pregnant, many women will go to every length to make sure that we’re ready for this next big step. We’ll prep our homes with a new nursery. We’ll read every book. We’ll eat healthy and work out. We’ll check our calendars, take all the nutritional supplements, try every relevant superstition out there… you get the idea! 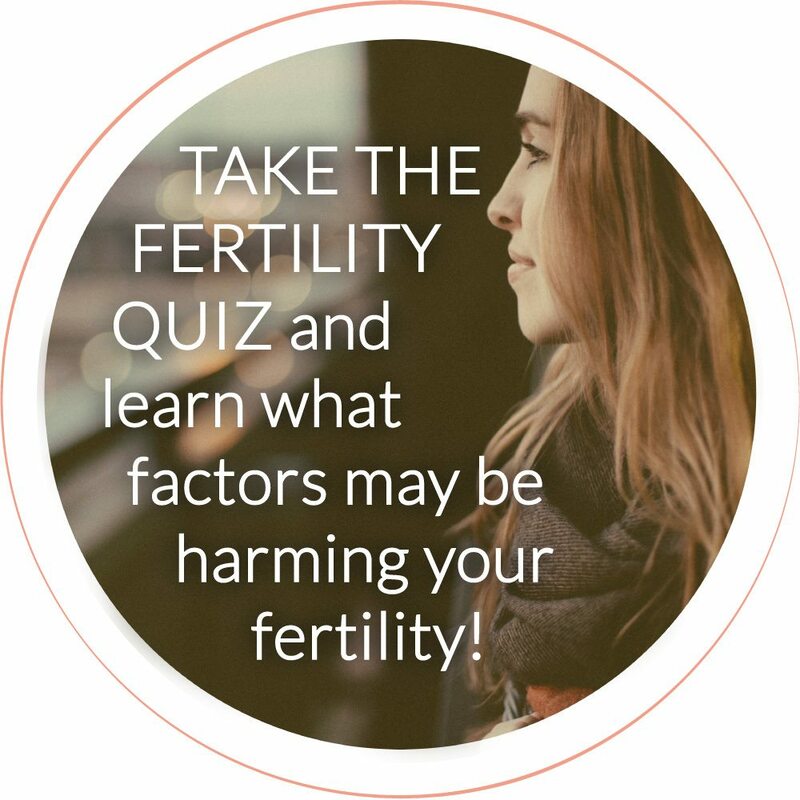 But, while we’re busy analyzing everything we do, see, or eat, there is a hidden danger that can profoundly affect our fertility health that many of us are completely unaware of. Underlying toxins in our environment affect how well our hormones function, the quality of the sperm and egg, and so much more. And because they’re mostly hidden to the naked eye, they can easily be overlooked or ignored. It is entirely possible that these toxins are impacting your ability to get or stay pregnant, and you may not even know it. How are toxins affecting my fertility? Research shows that exposure to pollutants, pesticides, and industrial chemicals can decrease a couple’s ability to conceive by up to 29%. You are exposed to more chemicals in 30 days than your grandparents were during their entire lives. In the United States alone, approximately 87,000 new synthetic chemicals have been produced since the 1940’s… but less than 3% of these chemicals have been tested for hormone disrupting properties, leaving significant room for these toxins to significantly interfere with your hormonal health. This especially matters when we’re trying to get pregnant because most toxins in our environment are estrogen-based, or at least mimic estrogen in our bodies (aka xenoestrogens). This means that they directly impact your ability to conceive. Your body’s production of estrogen is responsible for stimulating cell division in hormone responsive tissue like your uterus, breast tissue, and ovaries. When you’re exposed to estrogen-based toxins, these xenoestrogens can create an overload of estrogen, over-stimulating tissue growth and causing ovarian cysts, endometriosis, fibrocystic breast disease, and even cancer. In addition, in men, these toxins are believed to contribute to decreased sperm count, as well as prostate and testicular cancers. Realistically, you can’t avoid ALL the toxins in your environment. But you can absolutely minimize your exposure by paying attention to what you eat, how you live, and the products you bring into your home. Even if you try to avoid these products all together, human-made chemical toxins impact us all. They pass through our water, air, soil, and food system, making them extremely difficult to avoid. As I mentioned, it’s pretty much impossible to completely rid your environment of dangerous human-made toxins. However, here are my favorite tips that will help you significantly decrease your exposure. Pesticides, insecticides, and fungicides are wizards when it comes to mimicking estrogen. They also impair thyroid function and increase fat cell growth, which is rarely something we want no matter our phase of life. Whenever possible, eat organic foods that have not been treated with chemicals. This includes always choosing organic, grass-fed and pasture-raised when buying your meats. Animal products are hands down the most important food to purchase organic, because animals accumulate toxicity much more readily than plants do. Everything that goes on your skin enters your body through your pores. By choosing personal care products that have 100% natural ingredients, you can ensure you’re not being exposed to potent endocrine disruptors like parabens, sodium lauryl sulfates, phthalates, propylene glycol, and triclosan (found in antibacterial products). If I wouldn’t eat the product, then I won’t put it on my body. If it contains ingredients that I can’t pronounce (or explain), I won’t buy it. To help you out, I’ve created a list of all of my favorite beauty care products, cleaning supplies, and more. This is the stuff I use personally on my body and in my home. Check out the Shop My Home section of my website to learn more. There are several studies that link exposure to air pollution with autism-spectrum disorders. One study even found that autism risk DOUBLED for children born to women exposed to high levels of pollution. There is still quite a bit of research that needs to be completed regarding which chemicals in air pollution negatively impact us, but one thing is for certain—we should do everything we can to limit our exposure to air pollution, especially when we’re pregnant or trying to get pregnant. Avoid exercising near high traffic areas. Vehicles on busy highways can create high pollution levels up to ⅓ of a mile away! Use hand-powered or electric lawn equipment instead of gasoline powered. Old lawn mowers, leaf blowers, and snow blowers can create even more air pollution than cars and rarely have a pollution control device. Especially when you are pregnant or are trying to get pregnant, do not allow anyone to smoke indoors and avoid exposure to secondhand smoke if at all possible. This is a tough one for several of my clients to make the switch but I promise it’s worth it! The non-stick coating material—PFOA—is a powerful hormone disruptor that can leach into foods when heated. Helen Sanders over at Health Ambition wrote a great article highlighting the recent studies showing significant evidence that PFOA contains carcinogenic properties—aka causes cancer! While more studies are still being conducted, I definitely recommend opting for ceramic, stainless steel, glass or cast-iron cookware. Never cook in non-stick or aluminum pans. As more and more chemicals are being used by humans, our water supply is becoming increasingly contaminated with hormone-disrupting elements. Be sure to use a high quality water filter to remove toxins, heavy metals, fluoride, herbicides, disinfectants, and other municipal “additives” from your drinking water. Alternatively, you can choose spring or mineral water that is bottled at the source in glass bottles. These options will go a long way in reducing your exposure to unnecessary chemicals. Similar to the reasons why I recommend natural beauty-care products, I also recommend installing a shower filter. Think about how much of our lives are spent submerged in water from our showers and baths. Installing a shower filter is one of the easiest things you can do! 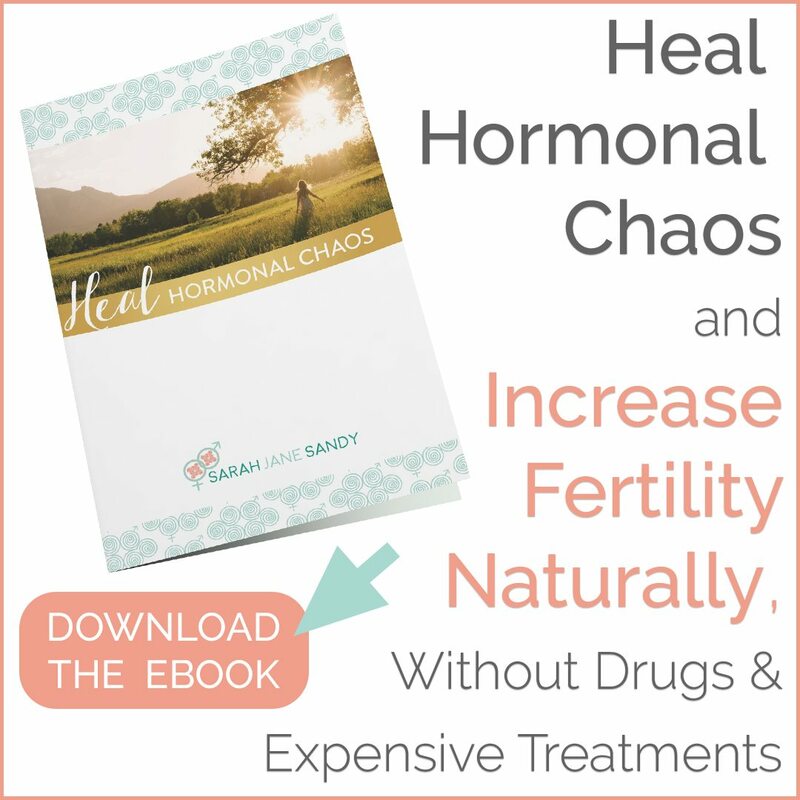 I recently created a 90-minute, FREE webinar that teaches you how to heal your hormonal chaos and increase your fertility NATURALLY without drugs or expensive treatments. In this 90-minute free workshop, you will discover my top natural remedies to heal the six most common hormone conditions that affect your fertility. I talk a lot about reducing exposure to toxins in your environment as it is such a critical element to optimizing fertility. You can check out the webinar by clicking here. Are you conscious of trying to reduce toxins in your environment? What are some of your favorite “clean” products you purchase? Which products are hardest for you to switch over? Spread some detoxin lovin’! Sharing is caring, and I bet you have some friends who would love to read this too :). Looking to have a more in-depth conversation about how to reduce your toxin exposure to optimize your hormone and fertility health? Schedule a consultation with me!